Sriracha sauce – which is also known as ‘Rooster sauce’ – is a bright red hot sauce. 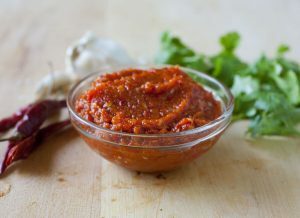 The combination of red chili peppers, garlic, a pinch of salt, sugar and a certain amount of vinegar can make Sriracha. The unique thing about this delicious item is that even it is spicy, it gives a hint of sweetness. It is mainly used by Thai, Vietnamese, and Chinese food makers. You can use Sriracha sauce with the soups/stews, meats or with the eggs and cheese. You can also use it directly as a dip. Sambal Oelek’s producer is Huy Fong Foods. It is the same manufacturer which makes Sriracha sauce. Sambal is Indonesian sauce. It is a crushed chili paste which is thick and tasty. You can use it with a bowl full of rice, stew, chicken, etc. It has more than 300 varieties. It includes onion and garlic, basil, shallot, and a pinch of sugar, lime, and ginger. Piri Piri or the Peri Peri sauce is a Portuguese hot sauce. It makes the best pair when taken with the seafood. You can also use it with the pizza, different types of bread, or chicken. It is also called like ‘pili pili’ in some areas of Africa. Piri Piri involves blended pepper, black pepper, oregano, garlic, onion, and basil. You can consider Piri Piri as the best substitute for Sriracha sauce. This sauce was initially popular in Japan. Nowadays, it is widely spread. 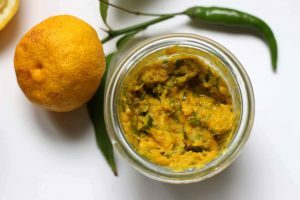 You can use this hot sauce with your Sushi, meat, or with your veggies. Yuzukosho’s main ingredients are chili peppers, salt, and peels of the citrus plant named Yuzu. It looks either green or orange, as the color is depending upon the pepper types. Tapatio is a bit spicier than Sriracha, but its zesty, tasty sauce will blow your mind. It is produced in California and available easily in the supermarket, pharmacies or even some of the liquor shops in the USA. The ingredients are; red pepper, salt, garlic, and some spices. 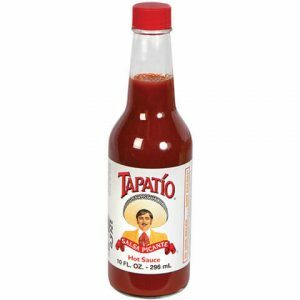 People of United States consider Tapatio as the best Sriracha substitute sauce. 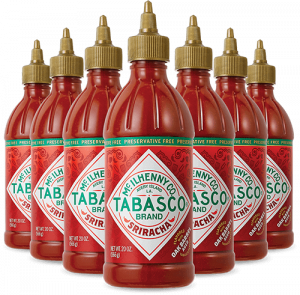 The company McIlhenny of Tabasco sauce was founded in 1868 – 149 years ago!!! It is an American product, but the name comes from the Mexican state. There are several varieties of Tabasco, but the hottest one is ‘The Habanero,’ and the mildest one is the green pepper (i.e. Jalapeno) sauce with the sweet and spicy test. As per our research, these are the top 5 substitutes for Sriracha sauce. 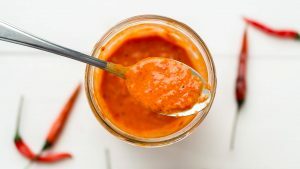 But if you want to add one more substitute in the list, you can also try ‘Home-made Sriracha Sauce.’ Making Sriracha sauce at home is an easy and quick task. It will save a lot of bucks! We hope this article is the last thing you are reading before going to the shop! Go to the supermarket and try every sauce mentioned above!